Registration has been extended for this event as we have room for 24 additional spots. Sign-up using the form below. 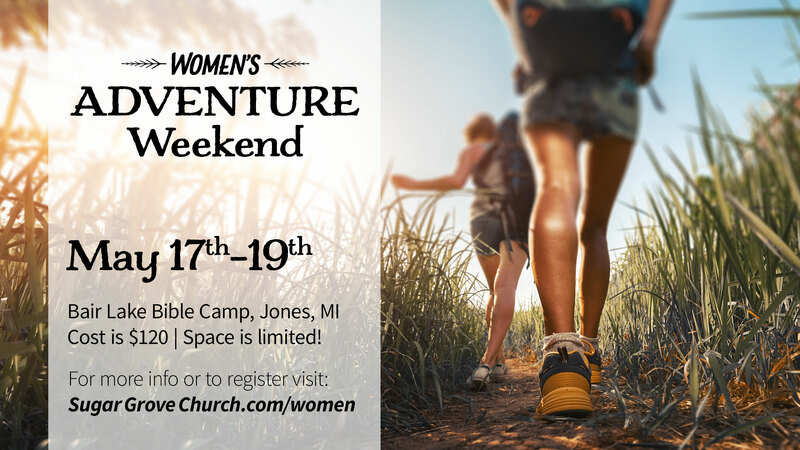 Join us for a high energy weekend of adventure at Bair Lake Bible Camp in Jones, MI, as we build our faith in Christ, strengthen friendships, and step out of our comfort zones. Author and speaker, Edy Sutherland, will lead us as we “Brave our Why’ld” through adventures including a team-building ropes course, archery tag, and more. We will encourage one another through scripture, and see how Biblical principles govern all of our adventures and play into our daily lives. Know your WHY. Dare to live it BRAVELY. We’ve rented a farmhouse which sleeps up to 32 people and includes heat/AC, beds, showers/bathrooms, etc. NOTE: The extended registration for the additional 24 spots are for private rooms that sleep 1–4 people—not in the farmhouse. Some of these rooms contain double beds which may require double occupants in order to make space for everyone. If this is a issue for you, please let us know and we will do our best to accommodate you.